Using only one hand has been quite difficult. While I can type and drive with only my left hand, it's the little things that are bothering me. I cut myself shaving four times yesterday. I can't tie my shoes or put in my contact lenses. Opening Ziploc bags are also tough. Putting toothpaste on a toothbrush is impossible. And of course, I'm not going to be able to pick up 4 month-old Luigi for many weeks. Through this all, I've decided that I need an emotional support animal. Ziggy is great, but he can't be with me outside the house, especially on the Metro. Therefore, I'm going to get a peacock. 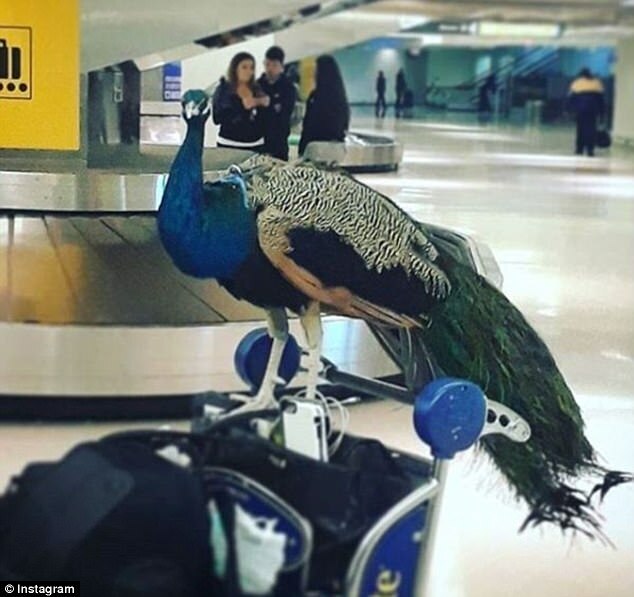 Seems like this shouldn't be a problem as long as I'm not taking the peacock on an airplane!